LIGHTWEAVE WEAVCAST stole the show at QUT The Cube’s recent Summer Holiday Program recently, with the technology captivating thousands of attendees over the program’s busiest weekend. WEAVCAST takes the LIGHTWEAVE Augmented Reality Colouring In technology to a new level, allowing users to bring their unique Colouring In AR creations to life on digital displays. The technology transforms existing spaces, allowing users to see their unique creations come to life and interact in a magical environment. 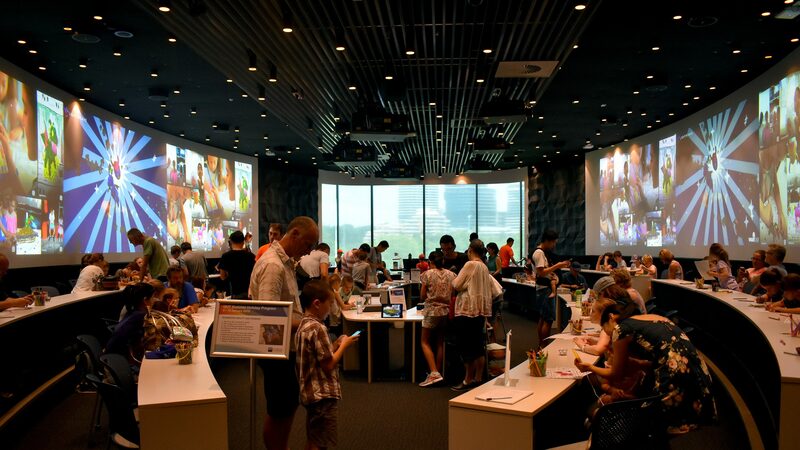 QUT used the LIGHTWEAVE Colouring In AR technology throughout the duration of their Summer Holiday Program, with Weavcast taking centre stage over the program’s busiest weekend. The two days saw over 8,000+ Colouring In AR scans using the LIGHTWEAVE suite of technology, with WEAVCAST proving a roaring success. For more information on how you can license WEAVCAST, contact us here.